Is your retail business up and running? Simple way to start selling online too! X-Cart Point of Sale system enables you to manage both your retail location and your e-commerce website in one easy to use web-based interface. Free yourself and your sales by going beyond the store counter and reaching the global market online. Inventory management becomes a breeze, the actual inventory that you have in your store is now represented in real time online. Open a retail store in addition to eCommerce website Run X-Cart 5 or X-Cart 4 Classic? The module is available for both! All-in-one software for small business. With X-Cart Point of Sale system you can sell offline and online using just one software. Add a new product to the database and decide whether it should be available in the online storefront, or if you want to sell it in your retail store only, or in both. Generate the barcode within the store interface, print it and stick, or scan the existing barcode the manufacturer printed, and add the UPC to database easily. Scan the barcode label to find the product and add it to cart, or update inventory, or modify the product properties. X‑Cart POS module works with popular and affordable hardware. Check the list of compatible hardware – probably you have it already. Or, if not, you can easily purchase it through our partners. Operator’s permissions may be limited to accepting orders from visitors shopping at your POS location: Add items to cart by scanning their barcode labels, place and process the order, print a receipt. Less work + Less stress = More sales! Entering products and inventory once and having it instantly available online saves you time and effort. Watch your sales from your couch at home, or use our free mobile app to track your stores performance while your’re on the go. Why go to the trouble and expense of maintaining two separate systems, when one easy to use platform does both? 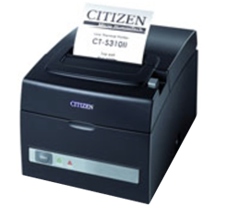 The Citizen CT-S310II is a green step forward towards reducing negative impact on the environment and it is Energy Star qualified. The power supply is the most efficient at managing power consumption and is built-in to eliminate the “brick” and free up space. 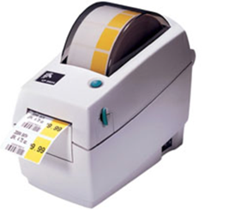 1.25″ x 1″ Direct thermal paper Label. Perforated. 2,340 labels/roll, 6 rolls/case. 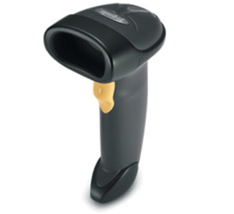 The Symbol LS2208 handheld barcode scanner offers high performance scanning at a moderate price point. From the retail point-of-sale and backroom to the patient bedside or school book checkout, the LS2208 provides fast. It’s possible that other models can be used, but the ones listed above were tested and proved to be fully compatible.